Formed by Valley's Eve bandmates R.D. Liapakis and Martin Albrecht, initially only as a side project. 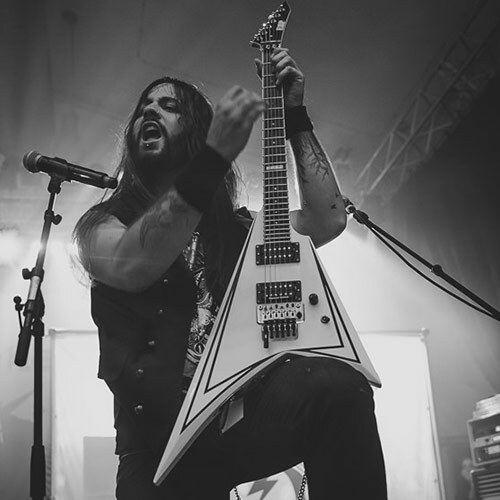 Gus G. was recommended to them as an unknown by David T. Chastain, and brought with him drummer Dennis Ekdahl, who he had been working with on demos for his embryonic Firewind project. The debut album was written mostly by Albrecht and Liapakis in a very short period of time, before all the band members had ever met face-to-face, with songs still being composed while the album was being recorded. The second album was written in similarly compressed conditions, with Gus G. serving as the main writing partner to Liapakis as the members worked the band around their other projects. 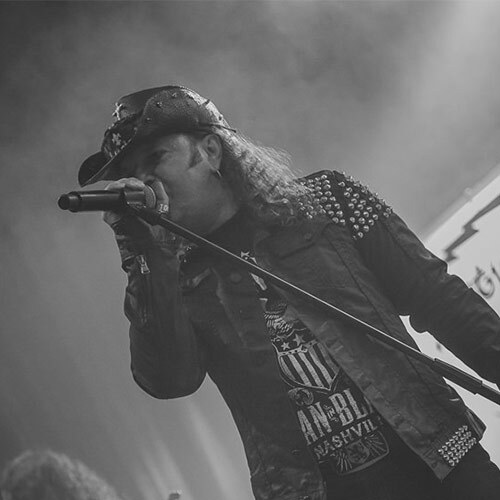 Following the release of the third album, Albrecht and Liapakis wanted to press ahead with Mystic Prophecy as a full-time band, so Gus G. and Dennis Ekdahl both left to make way for new musicians. Markus Pohl, who had joined as a live member in 2003, was promoted to full-time status, along with new lead guitarist Martin Grimm, taking the band up to a five-piece for the first time. Martin Albrecht stepped down in 2008, leaving R.D. Liapakis as the band's only remaining founding member. 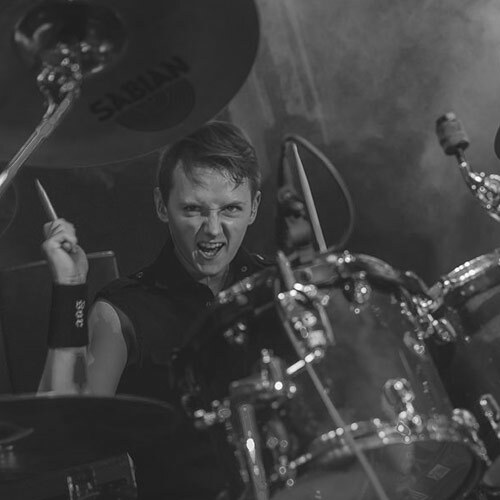 Matt C. filled in on drums for Mystic Prophecy for one tour after Stefan Dittrich left. MYSTIC PROPHECY - playing music in the vein of bands like Accept, Judas Priest, Exodus, Forbidden or Testament - has become one of the biggest surprises within the global metal scene in the last years, standing for powerful and dynamic metal at its best. With "Satanic Curses" (2007), MYSTIC PROPHECY stepped out of their power metal comfort zone and delivered "the world's heaviest heavy metal album". 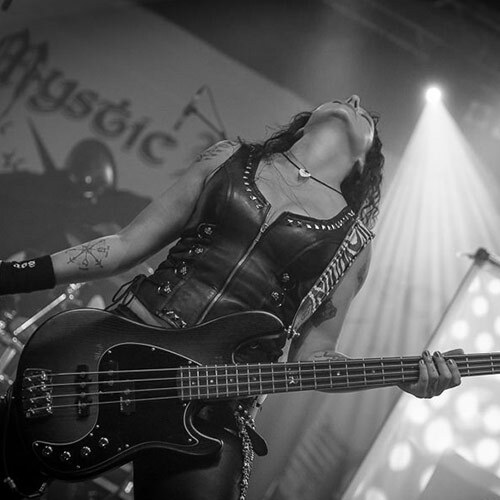 MYSTIC PROPHECY confirmed with "Fireangel" (2009) that the band's still standing strong, which was verified live with an European tour with Statovarius as well as numerous festival appearances. Promoting "Ravenlord" (2011), the band topped all expectations as co-headliner of the so-called "Wolfsnächte" tour with Powerwolf and with gigs at festivals such as Metalfest, Summer Breeze, NOAF or Prog Power. 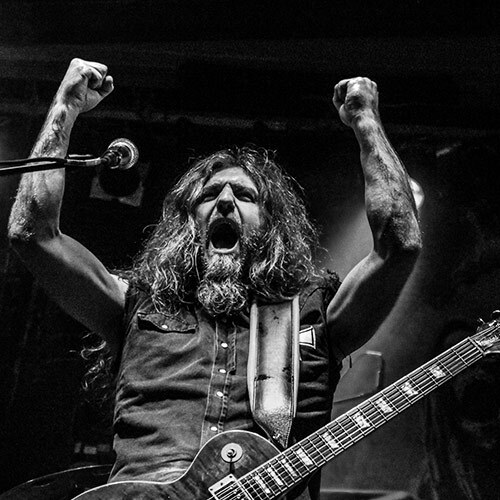 2013 saw the release of "KillHammer", which was accompanied by a tour with Masterplan in autumn as well as an European headliner tour a year later. In 2015, MYSTIC PROPHECY focused on writing new material for the upcoming album "WAR BRIGADE". After a break of nearly 2 years, German power metallers MYSTIC PROPHECY proudly present their 9th studio album "WAR BRIGADE". They once again take no prisoners and deliver mighty hymns like "The Crucifix", "The Devil Is Back" or "Metal Brigade", which should be part of every playlist featuring essential neck-breakers. These songs clearly don’t need to hide behind MYSTIC PROPHECY classics like "Ravenlord" or "KillHammer". MYSTIC PROPHECY’s also known for delivering fast and aggressive tracks and "WAR BRIGADE" offers them as well: look forward to bang your head to "Burning Out" and "Pray For Hell". MYSTIC PROPHECY pay homage to well-known classics from the 70’s, 80’s and 90’s. Believe us – you haven’t heard artists like Donna Summer, Elton John or Mike Oldfield like this before! Our new album “Monuments Uncovered“ will be released on January 12, 2018 via MASSACRE RECORDS! This album is like a love letter to the music that accompanied so many of us in the 70’s, 80’s and 90’s! It's alive! "Monuments Uncovered" out today! "Shadow On The Wall", new video released! "I'm Still Standing" - new audioclip- from our new album! Thank you Greek Metal Brigades! You've been amazing!